Introduction: Here is a picture of the YHS football stadium. In the Yelm High School gym foyer, camouflaged by dozens of awards, in an undersized glass case, resides a trophy more decorated than most. This tarnished relic holds the names of 10 boys and 2 coaches, representing the hard work of the 1958 boys’ basketball team that became the champions of Washington State. 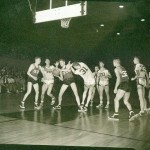 The Championship 1958 Basketball season built on the great successes of the year before. In the previous season, the Tornados placed 3rd in state to set a precedent for the coming years. 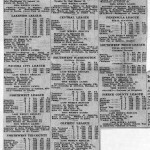 In 1957, the Tornados held the top position in the league for the first part of the year. Although the last known information places them with a record of 6-2, they evidently made the district playoffs. At one point in their season, they were ranked 7th in the AP State rankings. They were almost eliminated early in the playoffs as they lost their first game, but they came back to win the next 5 elimination games to take the second state berth. The first game in state was a disaster. They were dominated by eventual state champion Darrington (70-39). However, in their final game of the tournament they defeated the heavily favored Winthrop team 49-48, coming back from an 11-point deficit at half-time to win and earn 3rd place. 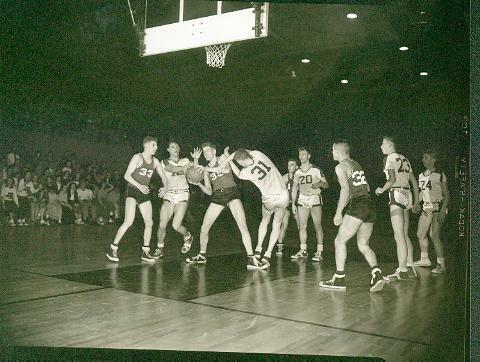 Although the 1958 Yelm Basketball team had a less-than-perfect ending to their season, it set the tone for the next year’s state title. The 1958 championship team worked extremely well together as a team; they had to. Their average player was 5’11 and 158 lbs. 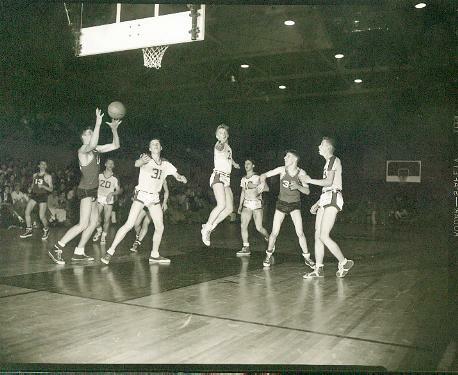 By today’s standards, the ’58 Tornados were undersized, but led by 6’3” Dave Wolf, the Tornados surprised the state. Wolf, a senior, led the Tornados and the league in scoring, with 17.2 points per game, and was 1st Team All-State for the second consecutive year. The team was also led by five seniors including 6’1” captain Gary Beggs. The Tornados ended their championship season with a 20-5 record, dominating their opponents both offensively and defensively. They made 52% of their field goals, while holding their opponents to 41%. By the end of the season they had outscored their opponents by 300 points. Besides Wolf and Beggs, the Tornados 2nd and 3rd leading scorers were 6’1” senior Al Heath, and 5’10” junior George “Tiny” Coulter at just over 9 points a game. 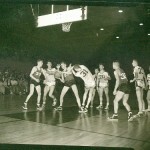 Dennis Kinney, a 5’9” junior was a speedy guard, and 6’1” senior Mike Gould came off the bench as the 6th man. The roster rounded out with 6’0” junior Phil Peoples, 6’0” junior George Hobart, 6’0” senior Barrie Wilcox, and 5’9” sophomore John Stark. The Tornados coach Bill Ward was only in his 2nd year at Yelm, coming from a successful campaign at Mercer Island. These 10 Tornados led by Coach Bill Ward have left a legacy for all of Yelm to remember as the last Boys Basketball State Champions in Yelm history. 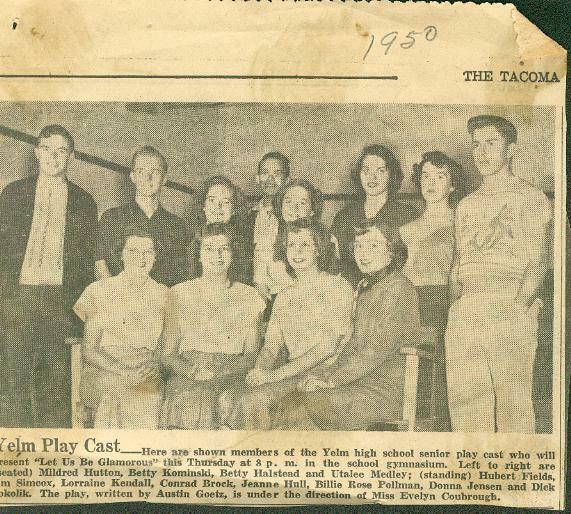 The 1958 season started off extremely well for the Yelm Tornados, especially considering that they were a ‘B’ team playing in a league of ‘A’ teams, all larger than them. The Tornados won their first five games against league rivals Bethel, Eatonville, Vashon, White River, and Fife. After dropping two games midway through the season to Bethel and Peninsula, they won out through the rest of the season to an eventual tie with Bethel High School, and a district berth. 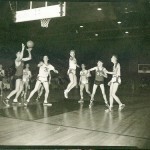 According to coach Ward, “Playing against the schools of larger enrollment helped his boys in the Spokane tournament,” because his boys were “used to tough competition.” The standout of the league was the Tornados own Dave Wolf, a straight-A student who became the high point leader in the league during the last game of the regular season, in which he scored 30 points. 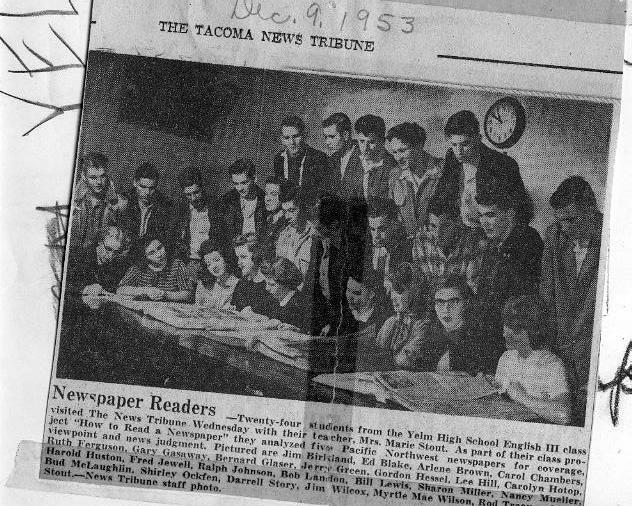 The Yelm Tornados 1958 postseason was full of surprising success that led them to capture the state title. The two teams that were most favored to win the title that year were Kalama, which was 24-0 and Darrington, which was the returning champion and ranked number 2. Yelm claimed one of the two state berths out of the West Central District by beating Tolt and crushing Neah Bay 96-61 in the district playoffs. 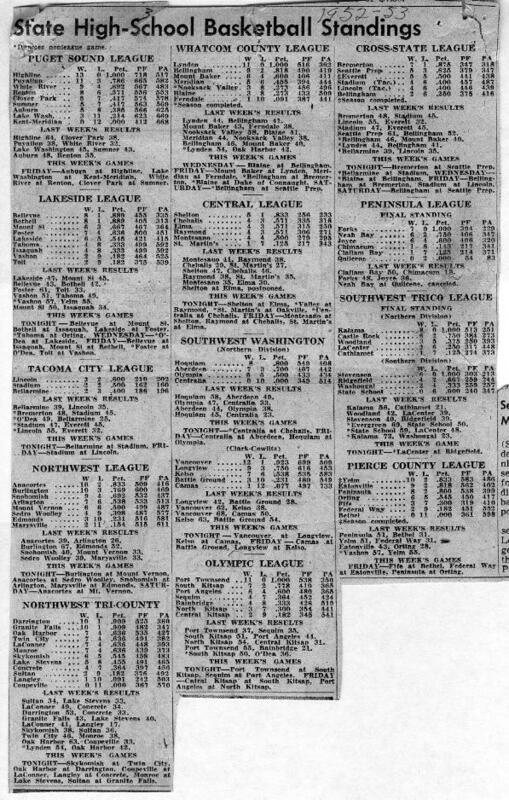 In 1958, the ‘B’ playoffs had moved from Tacoma to Spokane, so 6 of the players and the coach flew to Spokane from Sea-Tac, while the rest had to travel across Washington in a bus. Providing much support, 200 Yelm fans likewise traveled across the state in a large caravan. In Eastern Washington the Yelm fans stopped at Odessa High School, which also happened to be Yelm’s first round opponent. Once at the high school the Yelm fans antagonized the Odessa fans by honking their horns, after which they were “asked to leave” by their opponents. On March 6th Yelm defeated their first round opponent, Odessa, by a slim margin of three points. 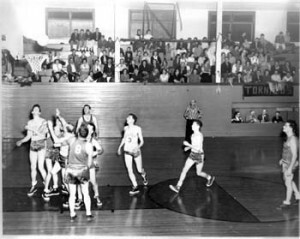 Similarly, the very next day Yelm defeated Valley of Menlo by three points, 52-49. George Coulter led the team against Valley scoring 18 points, and Al Heath’s scoring and rebounding helped pace the Tornados in both of their first two games. Yelm then had to face their toughest challenge so far in the postseason. They wanted to avenge the crushing loss (70-39) they took from Darrington in the playoffs a year earlier. They eliminated the heavily favored Darrington 55-51 as Dave Wolf scored a team high 26. Coach Bill Ward said that the defeat by Darrington was “stuck in their craw” from the year before. After the Darrington game, the Tornados played Brewster on March 9th in front of 5,000 spectators in the Spokane Coliseum for the State Championship. The Tornados started out the game strong and led 13-6 at the end of the 1st quarter. Brewster mounted a comeback in the 3rd getting as close as 43-39, but the Tornados were just too much for Brewster. The Tornados never trailed in the championship game, and pulled away at the end to win the state title 48-41. Wolf led the way with 19 points, followed by Heath with 13. Coach Ward said that Kinney and Coulter did an almost “flawless” job of ball handling. A Spokane area newspaper said that the “Masked Marvel” Gary Beggs, who wore a mask because of his broken nose, was the MVP of the championship game because of the way he dominated the boards. The Tornados averaged 50.3 points per game, and held their opponents to 46.0 points per game throughout the postseason; their victories were not blowouts, but the Tornados exceeded expectations. They went into the tournament as the number five seed, and came out as the number one team in Washington. To this day, the State Championship season of the 1958 Tornados remains as the pinnacle of basketball legacy and achievement in Yelm. Members present: Mr. Wilcox, Mr. Cook, Mr. Merz, and Sr.
Nov. 17, 1948 – Chester Reichel; Chas. Capen; Dan Cook and Truman Wilcox. November. 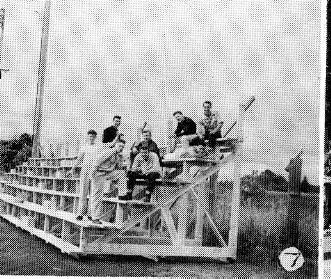 29, 1950 – Members present: Arthur Loney, Dan Cook, L. A. Kaufman, Chester Reichel, and Charles Capen. November. 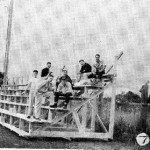 18, 1953 – Members present: Cook, Hastings, Edwards, Reichel. 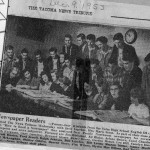 January 21, 1953 – Members present: Chester Reichel, Kaufman, Capan, Cook, Hastings. 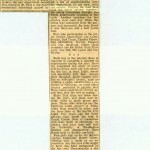 Introduction: The following article was found in the class of 1954 scrapbook. 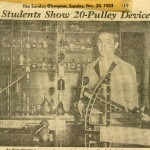 Introduction: The class scrapbook provided a number of clippings of school life from 1953. 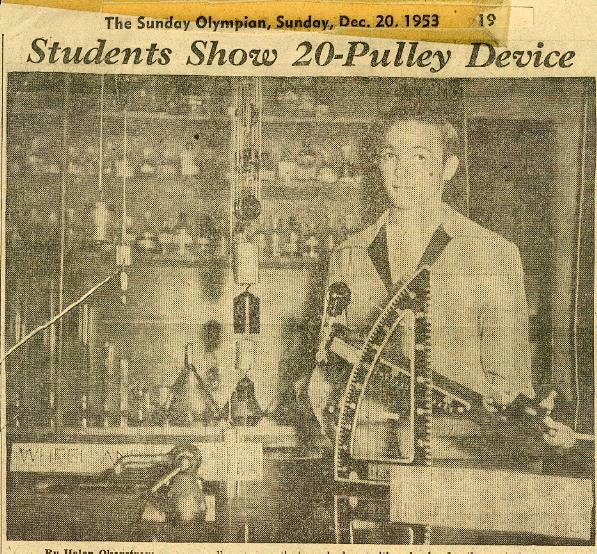 The men’s basketball team was a big story from that year. 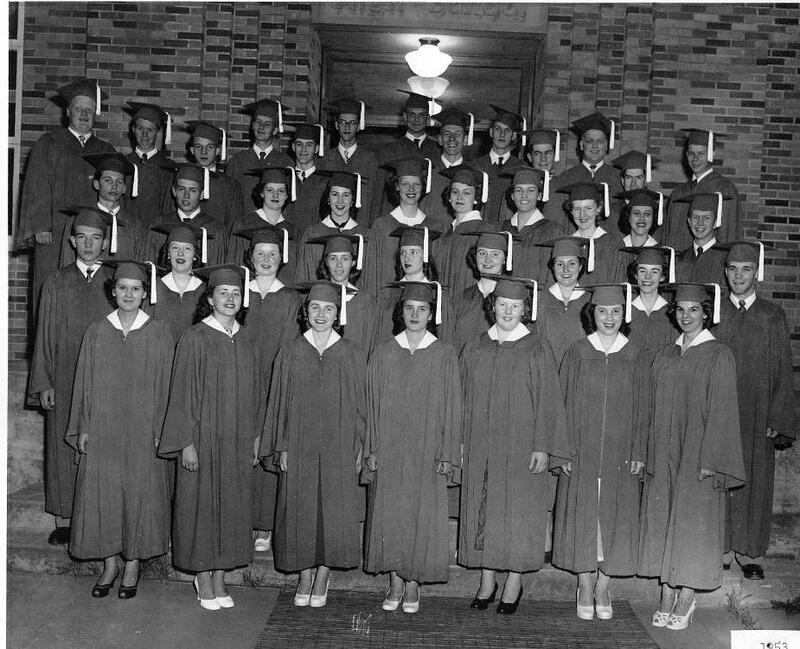 Finally, there is the class picture from 1953. Introduction: A few scenes of high school life from the Tornado annual. 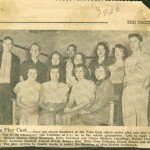 Also, a news clipping about the play. Introduction: Each year students were given “The Little Tornado” to read. In it were the rules to live by when attending Yelm High school. 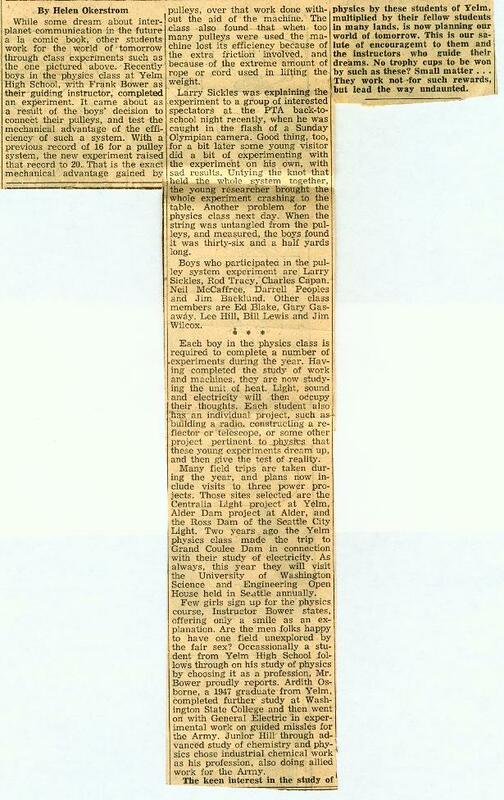 Here is an excerpt from the 1952-53 edition. All students are urged to come to school regularly. There are only thee things that are accepted as excused absences. They are: illness, work, or a dentist or a doctor appointment. Even these are not “excused” of the student fails to bring an excuse from home. If any other reason is given for not attending school, it is classes and an unexcused absence and the student will be required to make up the time missed. Three unexcused absences in one six week period will lower the grade one grade point. 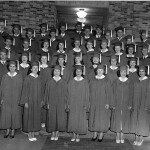 The attendance at school of the students helps finance the school. The school receives aid based on the number of pupils in the school each day, and each time someone is absent from high school, approximately $1.50 is lost. With this aid, the school can furnish better equipment for students. When a student is late to class he must get an admission slip from the office. Students must make up 15 minutes for an unexcused tardy. Three tardies become an unexcused absence.